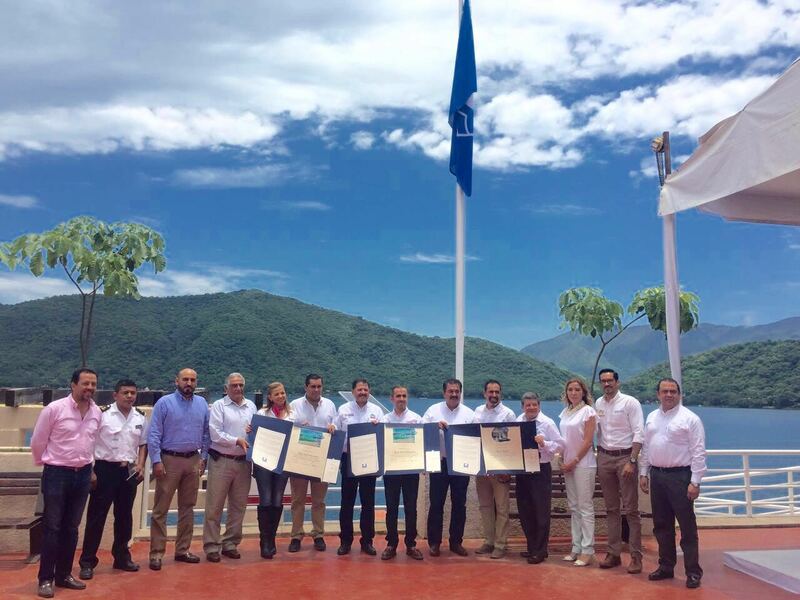 The most recent certification was given to the Laguna Santa María del Oro; Blue Flag certifications were also reconfirmed for the Marina Riviera Nayarit in La Cruz de Huanacaxtle—the only one of its kind in Mexico—and Playa Nuevo Vallarta Norte. Nayarit is one of Mexico’s top Blue Flag states with three to its name. The most recent one was awarded to the Riviera Nayarit’s sister brand, Lagunas Encantadas, for the Laguna Santa María del Oro. They raised it for the first time on August 4, 2016. “It’s important to mention the three Blue Flags in Nayarit were obtained thanks to the collaboration of Governor Roberto Sandoval Castañeda, who has supported the tourism sector since day one and helped us with these important gains,” said Marc Murphy, Managing Director of the Riviera Nayarit Convention and Visitors Bureau. The Marina Riviera Nayarit in La Cruz de Huanacaxtle reconfirmed its Blue Flag certification, which it obtained in 2015. Since then, it continues to be the first and only one of its kind to enjoy this international environmental badge. The first Blue Flag for Nayarit was awarded to Playa Nuevo Vallarta Norte in 2013, which has since maintained the certification.